Starrybeel and King’s Cross emerged on Saturday as exciting replacements to help fill the void in Stephen Marsh’s stable with the loss of his top-rated horses. The stable’s Group One winner Thee Auld Floozie has been retired to stud, Gr.2 Brisbane Cup (2400m) winner Chocante is off the scene with a tendon problem and War Affair is set to return to Singapore, leaving Marsh to rely on a young team to work through the grades. “They were my top-rated horses so you miss them, but I’ve got a really good young team and some exciting horses,” the Cambridge trainer said. Marsh is still shaking his head in disbelief over the winning performances of Starrybeel and King’s Cross last weekend and he believes they could be a couple to step up to the mark in top grade. “Starrybeel was hugely impressive the way he won at Awapuni,” he said. “For a while it didn’t look like he would, but he really sprinted. It was an amazing finish. “I’ve always had a lot of time for him and I thought he could be our Derby horse last season, but he just wasn’t genuine. The four-year-old son of Savabeel has now won two of his last three starts and is on track for the Dunstan Feeds Stayers Championship Final (2200m) at Ellerslie on New Year’s Day. “He’s got to be a big chance in the Dunstan Final,” Marsh said. 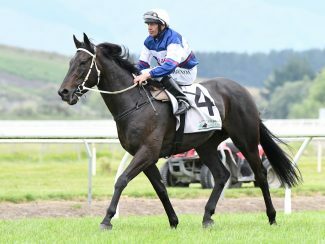 King’s Cross’s winning effort over 1600m at Pukekohe on Saturday was overshadowed by Starrybeel’s thrilling effort, but he, too, had to be good to win. King’s Cross was flattened in a skirmish early in the run home and he did extremely well to pick himself up and get up to win by a head. “It was a massive effort,” Marsh said. “It was phenomenal the way he picked himself up. “He’s not the biggest, robust horse, but he’s got a lot of ability. The Marsh stable landed four wins with eight starters over the New Plymouth meeting last Friday and the two fixtures on Saturday. Firefly, another by Savabeel, emerged as an opponent for Starrybeel in the Dunstan Feeds Stayers Championship Final with a courageous effort to win at New Plymouth, while Darci Palmer capped placings with a deserved Taranaki win. “They’re both racing well and should go on with it and I was really pleased with the run of Power Dream at Pukekohe,” Marsh said. As well as sitting third on the New Zealand Trainers’ Premiership, Marsh has won three races in Sydney with Campari (two) and Mark Two. “Campari finished seventh at Rosehill on Saturday and James (McDonald) said she just couldn’t quicken on the rock-hard track,” Marsh said. “She might have one more run over there. On the local front this coming weekend Marsh’s representation will include three of his promising three-year-olds. 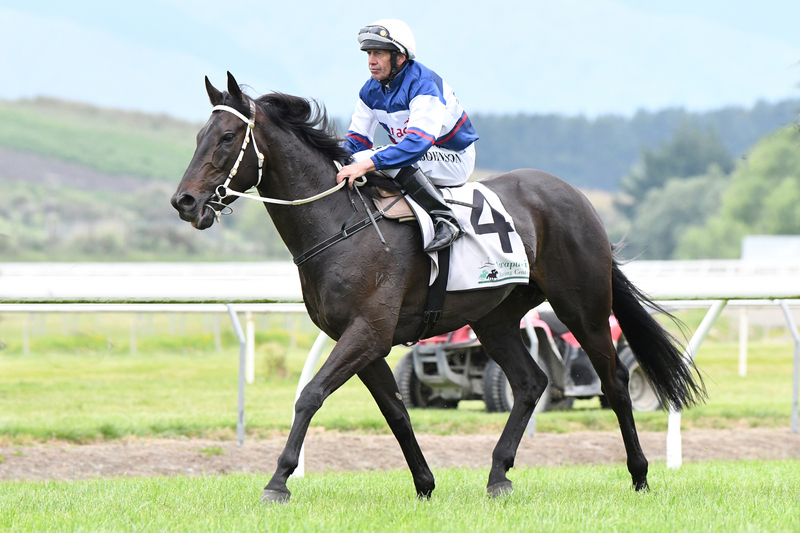 Factor Me In, a debut winner at New Plymouth early this month, will clash with promising maiden stablemate Prince Albert in the Listed Trevor Eagle Memorial 3YO (1500m), while Crown Prosecutor will head south for the Gr.3 Lucia Valentina Wellington Stakes (1600m) at Otaki on Friday.